Here at The Wedding Dolls HQ we’ve been busy doing lots of final planning with our Summer couples. The final few weeks can be a heady mix of hectic running around, growing excitement and flashes of nerves. To help make sure you feel ready and prepared some list making is a must! Make sure you have a timed plan of your day. Include every hour from set up right through to the last dance. Email it to all of your suppliers. The more they all know the easier it will be for them to set up on the day and get themselves prepared. It will help the day run smoother if everyone knows when everything is happening. Make sure you have a list of all your suppliers along with their mobile phone numbers on the day itself. Give this to one of your ushers to look after just incase there are any last minute changes and you need to get hold of them. If you can give your suppliers a mobile contact number for the big day itself – again this can be one of the Ushers if you don’t have a Wedding Doll on hand! Include in your preparations a list of everything you need to do in the week before the wedding, the day before the wedding and the morning of the wedding. List out all the jobs and put next to it who is going to do them. Be logical and realistic about what you can achieve in the time available. Don’t expect your Bridesmaids or Best Man to be able to do lots of running around the morning of the wedding – they’ll be busy enough getting themselves ready and getting to the Church too! Make sure you know what time you can access your venue and let your suppliers know. Some venues will let you deliver items the day before but don’t just assume that you can. They may well have another wedding or just don’t have the storage space. Also check when you need to remove all of your items so you can work this into your plan as well. It’s a good idea to nominate someone to deliver and collect and have a list of everything that should be dropped off and picked up just to make sure nothing is forgotten. Make sure you give your photographer a list of all the shots you want taken on the big day. Listen to their advice about how many shots you can have and when is best to take them. It will help if you can have an Usher on hand to round up family just before they are needed – it will make things feel less rushed and certainly less stressful. The more preparation you can do in the lead up to the big day the better. Getting your plans down on paper will make it easier to see what needs to be done and when. It might seem daunting to do so but it will make it clearer and easier. We promise! Later this year we’ll be working at Vic & Alex’s wedding and so we couldn’t wait to share their gorgeous engagement shoot with you. Vic & Alex run the Ferry House Inn and so are fully experienced at managing parties and other couples big days. But like most of us who work in events, we know it’s very difficult to manage everything yourself whilst trying to have a fabulous time, which is why we’re super excited to be working for them both on their wedding day. We’ll be there to make sure everything goes to plan whilst they relax and enjoy their very well deserved big day. We can’t wait! Thanks so much to Rebecca Douglas for sharing the shoot with us. Mulberry Cottages: Approved Event Planners – Yay! It’s all very exciting here at the The Wedding Dolls today as we are totally proud to be Mulberry Cottages recommended wedding and event planner. If you’re looking for a unique wedding venue Mulberry Cottages have a fantastic selection of self-catering cottages in Kent and the rest of the UK. There are brilliant locations in town centres, costal resorts and in the countryside, so you can experience fantastic views on your wedding day. Even if you don’t opt for getting married at one of the cottages they make a great base for wedding guests so you can all carry on enjoying the party long after the last dance. There are cottage complexes which are perfect for larger groups sleeping up to around 30 guests, some including your own swimming pool for the ultimate stylish wedding weekend. If you are staying in one of their cottages and planning your wedding (or any celebration come to that!) then we can help. Working closely with the Mulberry Cottages team we provide a planning service that will help you create the perfect event. 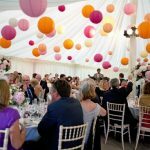 Whether it’s sourcing local suppliers, finding a caterer or private chef, booking transport, hiring entertainers or information about putting up a marquee we can assist you. All Mulberry Cottages guests receive an exclusive 10% discount on our services and we have some special one-off planning packages available. Take a look at their website for more about their cottages or call us for info about our services. Do you need a little bit of extra planning help? If the answer is yes then our Dolly Hours are the perfect way to pay as you plan. You simply buy our expertise by the hour and use the hours whenever you them, whatever you need them for. 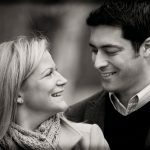 They are great for busy couples who want to do most of the planning themselves but just need a little bit of professional advice here and there. Dolly Hours can be used for things like sourcing suppliers, obtaining quotes, creating styling boards and setting up planning schedules. It’s completely up to you – it’s like your very own wedding pick and mix! Each Dolly Hour costs £35 but if you book your Dolly Hours before the end of March 2014 we’ll give you an extra hour FREE for every three hours you book. Simply quote “HelloFreeHour” when you drop us a line. 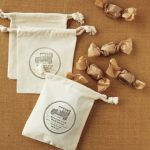 We think they make great presents for recently engaged couples! Just ask us for a gift card when booking. We’re so excited to be back at The Wedding Fair, Bluewater in February, where we’ll be offering our wedding advice completely free of charge to all that come and visit our stand. You can either book a slot with us prior to the event by calling Joanne direct or just turn up and we’ll do our very best to answer any wedding worries or queries you have there and then. We can’t wait for the fair and as usual we’ll be running our ticket giveaway in the next few weeks so pop back soon for more details. We’re also preferred planners at the beautiful St Clere Estate which has only limited dates available for 2014 and was where we created this fabulous Whimsical Snow White inspired shoot that appeared on super blogs Before the Big Day and Secret Wedding. It’s also featured in A Kentish Ceremony magazine this month too. If you’ve booked your venue and think you might need an extra pair of experienced hands on your big day or you’re still looking to find that perfect place then give us a call or click here to see how we might be able to help.